Garage sales, yard sales ads in Melbourne. Thank you for visiting our free advertising website Garage sales, yard sales, Melbourne section. We provide high response free classifieds and free advertisement. Use our online free Garage sales, yard sales classifieds placement system to find, list, offer Garage sales, yard sales online! Join us at our Community Market on October 22nd 8am-12pm raising funds for our local doggie rescue. There will be 30 stalls selling all sorts of bargains! Plus coffee van sausage sizzle, raffle to win prizes, giveaways, rescue doggies to pat & more! Dog-friendly event so bring your canine family. Massive Garage Sale Moving House Clearout -Tools - Furniture - Appliances - Kitchen Goods - Toys - Books Plus heaps more 9am-1pm Saturday 4th June 10 Brulu Close Mount Eliza No early starters. Little Cupcakes Bakery in Melbourne offer Real blueberry and pistachio gluten free and vegan cupcake with vegan cream cheese frosting. 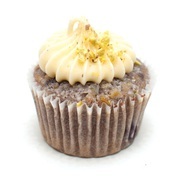 Made from real blueberries and vegan this cupcake is one of our most popular cake. Try it order now !. Selection of Kitchen appliances, Books, Toys.Children's Clothes, Fishing Rods, Fishing Reels, DS Games, Beannie Kids, Bric a Brac etc.Something for everybody. 9am till 3pm no early callers.. 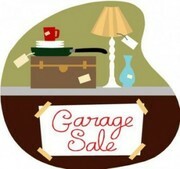 Huge garage sale, Saturday 13th December 8am to 4pm NO EARLY CALLERS 20 Gleneagles Drive Sunbury Vic 3429. CHEAPEST GARAGE SALE EVERYTHING MUST GO NOTHING OVER $5.0 CLOTHING FROM 50 CENTS TO $3.00 DVDS. $1.00. PLANTS ONLY $2.00 RECORDS $2.00 LOTS AND LOTS OF KITCHEN ITEMS FROM 20CENTS TO $5.00 BRIC A BRAC SEWING PATTERNS 20 CENTS OUTDOOR PLASTIC CHAIRS. $1.00. 9am to 4 pm Moving house All items must go Microwave, furniture including dining table and chairs, sewing machine, designer clothing and shoes, table cloths. Bedroom covers, Cutlery, crockery, glasses, children's toys, high chair Everything MUST go. GARAGE SALE! Tonnes of items - come grab a bargain!! Date Listed: 26/03/2014 Last Edited: 26/03/2014 Event Dates: 29/03/2014 HUGE GARAGE SALE! 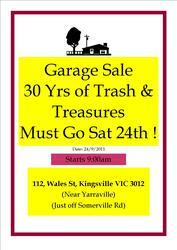 Saturday 29 March - 8am till 3pm.. Heaps of stuff for sale.. Items include: * Baby/kids clothing - girls - sizes 0000 to 2 - boys - sizes 0000 to 5 - includes everyday items to designer labels like Country Road, Industrie for Kids, Spout, Guess, Polo Ralph Lauren * Baby/kids shoes, some never been worn * Baby manchester, including blankets, sheets, wraps, brand new single bed doona * Baby/kids toys * Kids books * Steelcraft 3 Wheel Pram, baby bouncers, baby swings, stroller, Baby Bjorn baby carrier * Womens & mens clothing * Womens shoes, handbags and accessories Plus much more. Mammoth Shed Sale. Multi family blitz will run over 2 days. Saturday 15 February 8:30am to 3:00pm AND Sunday 16 February 9:00am to 1:00pm only. NO EARLY CALLERS PLEASE. 315 SHEFFIELD ROAD(cnr Stradbroke Rd), MONTROSE Come grab a bargain. Everything is priced to sell & must go... • Free tea chest packing boxes, bubble wrap & paper wrapping • Cold drinks will be available • Furniture • Books, Board games & DVD’s • Boys bike & scooters • Kitchenware • Soft & hard toys & dolls • Computers, printers, monitors • Clothing (women’s size 6-16, children’s sizes + dressups) • Shoes (women’s 5 - 6. 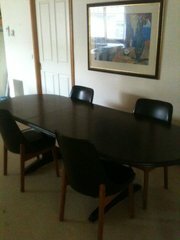 Huge Indoor Moving House Garage Sale, come grab a bargain. Everything must GO..... •	Furniture (Single beds x 3, Queen Bed, Bedside tables, Lounges, Dining Table, TV Unit, Coffee Tables, full size mirror, vases, Bookcases, Decks, Baby Cot and changing tables, Antiques and more) •	Clothing and shoes (Men, Women and Children designer labels “new and used” ) •	Rugs •	Kitchen ware, Kitchen Appliances, •	Electrical Appliances (Washing Machine, Fridge, Microwave, DVD and VCR players, HD set-top box, Satellite receivers, CCTV Digital Recorder with Cameras, security system, AV wireless sender, home automation items, •	Computers, Printers and accessories •	Curtains, Manchester and the like •	Books and DVD’s and organizers •	Kids Toys •	Outdoor and garden (BBQ, Umbra new in box, Lawn mower, Wiper sniper ) •	Tools and Equipment (Power and Hammer Drills, Bench drill, Circular saw, Cables “Telephone, Data, audio and Video”, electrical and date outlets, harness kit, Power supplies and adaptors, hand tools and more…. GARAGE SALE/ 4 HOWELL STREET BENTLEIGH (NEXT DOOR TO HUNGRY JACKS) ON SUNDAY 8TH DECEMBER. WE ARE HOSTING A GARAGE SALE BETWEEN 8.30AM TO 2.30PM GOODS FOR SALE INCLUDE HOUSE AND OFFICE FURNITURE, KIDS TOYS BIKES CLOTHES BOOKS DVD'S HOUSEHOLD BRIC A BRAC INCLUDING SOME RETRO PIECES..
ACTIVATE CHURCH 1/20 MELBOURNE STREET RINGWOOD SATURDAY 10TH AUGUST 2013 10am-3pm EVERYTHING MUST GO BARGAINS GALORE SAUSAGE SIZZLE. Massive Garage Sale 3 homes under one roof. Massive Garage Sale 3 homes under one roof. Lots of new and used household goods, childrens toys, clothing & plants. Saturday 18th May @ 9am to 1pm Address: 173 Victoria Street Altona Meadows. So much stuff, we are doing it again - come along to the second installment of our garage sale and grab a bargain. Ladies, it is a treasure trove of clothing, shoes, jewellery, accessories. Also heaps of books, children's toys and bric-a-brac. We are MOVING and don't want to take it all, so grab a bargain; there's something for everyone. Garage Sale of Household items including a double bed, power tools, books, crockery, watches, sunglasses, pottery, childrens' books and toys, artwork, fishing tackle etc 41 Seaview Road South Frankston 9.00am-1.00pm 6th April 2013. FROM: Sat 23/3/13 (9am - 4pm) TO: Sun 24/3/13 (9am - 4pm) Lots of stuff for sale - homewares, new car wipers, new 4x4 lights, clothes (infant, kids, ladies, man), books, car radio, kitchen appliances, 1 kid's bicycle, fashion jewelry, lamps, toys and other bric n bracs. Along O'Shannessy St, Nunawading, VIC. 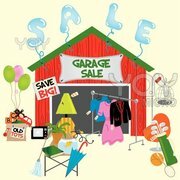 HUGE GARAGE SALE 19/01/2013 8am (no early birds) Huge Clearout. Furniture, Hardware, Tools, Toys, Electrical, Collectables, Wheels and Tyres, Odds and Ends. 175 Wattletree rd Hurstbridge 3099. Garage sales every Sunday to Christmas. Today, focus is on manchester, but also have a selection of Christmas goods, kitchenware, electrical, photo frames, camping, and MORE! Take a pick from the FREEBIES box!. Bargain Garage Sale - Moving house & downsizing sale - Saturday 17th November - 8am until 3pm - 29 BALFOUR AVENUE, HEATHMONT, VIC - Everything must go!! Items include kitchen appliances & crockery, heaps of kids books, toys & games, kids bed linen, dvd's, cd's, frames, clothing, antique plates, ornaments, garden pots, bird bath, outdoor swing chair, paint, tiles & plenty of other items all at bargain prices. TOYS, Clothes, BOOKS, Household Items and more ... 25 Prince Edward Avenue, McKinnon VIC 3204 Please, NO EARLY CALLERS. Huge Garage sale over 3 days. Saturday 21st July, Saturday 28th July and Sunday 29th July. 08:00 TO 16:00. Lots of different items from household furniture, outdoor furniture, electronics, clothes, vintage and eclectic items. 122 Strathaird Drive Narre Warren South Victoria. 24 Swindon Crescent, Keilor Downs Saturday 21st April 8am - 4pm Moving House Sale, Items include:- Household Items, Toys, Clothes, Baby Items, Books etc etc Come grab a bargin. Sat, 18th Feb 7am-12 Children's books, toys, games, computer games, running pram, car seat/boosters, little girl's clothes (dresses, jeans, pants, shirts, jumpers, etc), Men's clothes size XXL (suits, shirts, pants, etc. ), DVD's, Skype phone, clothes hampers, multi-function printer, sci-fi books, housewares. Quality New and Old Furniture, Complete adult drum set, Kitchen and Homewares, Electric BBQ, Jewellery (silver and costume), Watches, Hand bags, Clothes - kids and adult, Lots of books and magazines, Toys, High chair, Fantastic Kids Trailer bike, Bikes, Scooters, and lots more..
After 30 years, we are finally moving and we need to downsize. We can no longer keep all our stuff. Antiques, Artworks, English Tea Sets, Heaps of Plants & Orchids, Gardening, Furniture, Two Double Beds, Kitchenware, Bric-a-Brac, Books and Heaps More. Grab a Bargain, EVERYTHING MUST GO! Saturday 29th October 8AM - 3PM *NO EARLY BIRDS PLEASE* Location: 158 Beavers Street Northcote Vic 3070 Rain, Hail or Shine. There is Antiques, Collectibles, Baby Goods, OLD "Heavy" Shop Counter, Bikes, EVerything Collected over the past 30yrs, Could be New or Could be 100 yrs Old, BOOKS, Clothing, BRIC-A BRAC, Baby Goods, FURNITURE- Dresser, BIKES, Outdoor Chairs, Outdoor Umbrella Mirrors, "Collectable Old. All Seasons Pumps Pty Ltd Is proud to announce we are having a Garage Sale on Saturday September 10th. From 8am to 1:00pm There will be HUGE DISCOUNTS ON ALL POOL/SPA/WATER SYSTEM PUMPS, FITTINGS, FILTERS, HOSES, CHEMICALS, AND ACCESSORIES ETC FOR SALE. NEW, USED & REBUILT AT UNIT. Visit our WEBSITE to see everything that is available: http://garagesale.aussieblogs.com.au ENQUIRIES: E-mail: garage-sale@hotmail.com. Australia free ads for Garage sales, yard sales, Melbourne, Garage sales, yard sales free ads Melbourne, Garage sales, yard sales for sale Melbourne, Garage sales, yard sales to buy in Melbourne. Find on this page free classifieds for Garage sales, yard sales in Melbourne. This listing includes classifieds for sale and to buy in Melbourne. FREEADSAustralia Melbourne offers you a platform to post free advertisements or classifieds for Garage sales, yard sales in Melbourne. FREEADSAustralia helps you search, find buy, sell, rent or hire in various categories like apartments, goods for sale, local services, cars , jobs and many more in Melbourne. If you posted an advertisement in category Garage sales, yard sales of FREEADSAustralia Melbourne before please use Edit my ads button to change or cancel your ad. Garage sales, yard sales Melbourne ads Melbourne, Garage sales, yard sales classifieds Melbourne, Garage sales, yard sales free ads Melbourne, ads for sale Melbourne, ads to buy Melbourne, FREEADSAustralia. Find here ads for sale, to buy and rent in Melbourne. Goods for sale in Melbourne, vehicles for sale in Melbourne, Melbourne real estate for sale, Melbourne property for sale, property for rent in Melbourne, business ads in Melbourne, Melbourne business classifieds, services in Melbourne, Melbourne services ads, jobs in Melbourne, pets for sale in Melbourne, Melbourne dating, Melbourne cars for sale.